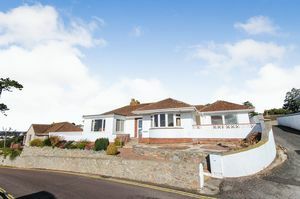 An immaculately presented three bedroom detached bungalow commanding spectacular far reaching sea and coastline views over Tor Bay. Set in a prime location known locally for its exclusive properties just a few hundred yards from Torquay's picturesque Harbour and Marina. 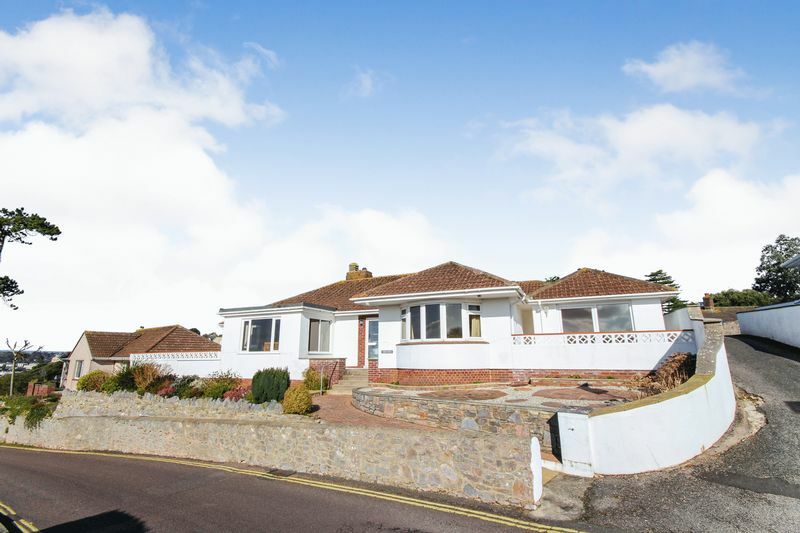 The property is well presented throughout providing a truly outstanding home that encompasses exceptional entertaining/reception rooms making it a fantastic second home or permanent residence. 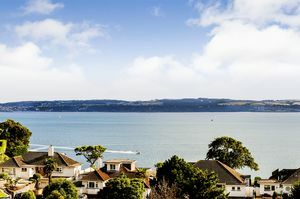 This bright and airy property boasts en-suites to all three bedrooms, spacious living accommodation, a garage with off street parking and glorious sun terraces providing an awe-inspiring view point of the sea. The bungalow is set back from the road in an elevated position allowing for a superb degree of privacy. 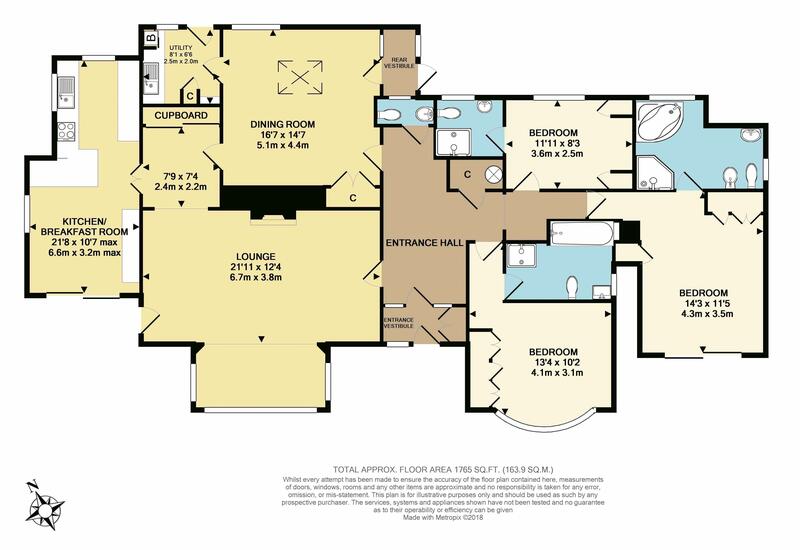 The layout of the accommodation is well-planned with well-defined living and sleeping areas either side of the hall way. 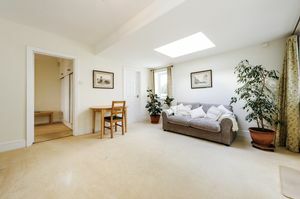 As you enter the property you are met with a generous welcoming entrance hall with a light and airy feel. 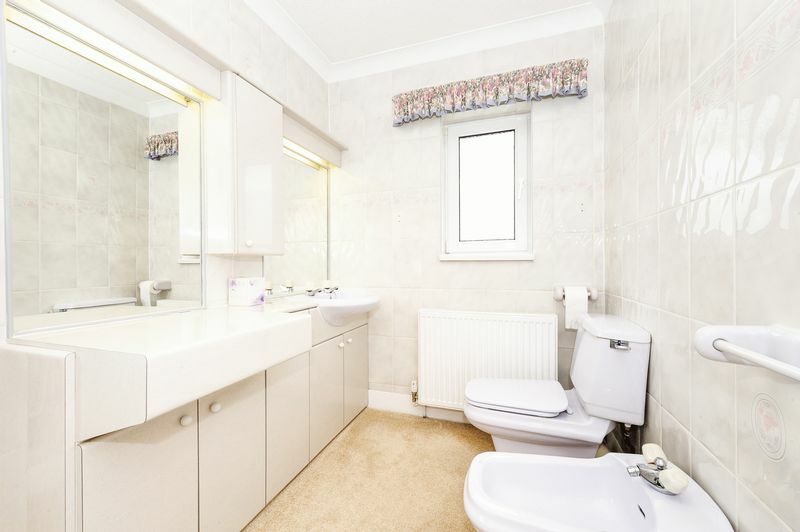 A cloakroom provides upmost convenience in its central location. 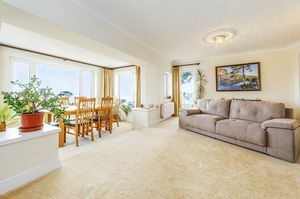 To your immediate left is the impressively spacious living room, extending to provide a walk-in deep bay window, boasting truly stunning sea views. 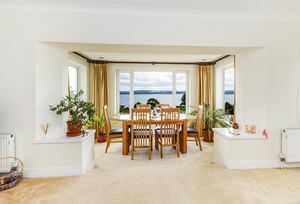 The bay window also allows for a fantastic seating or dining area to make the most of the envious outlook this property enjoys. 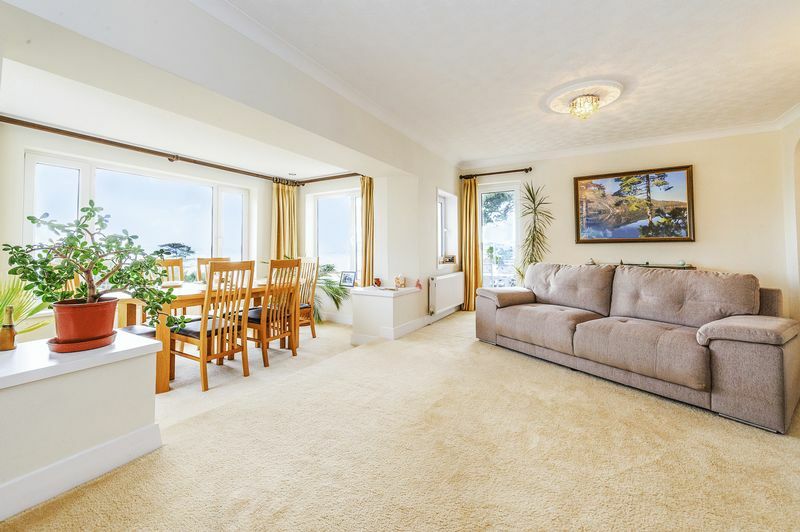 The generous living room opens up onto a beautiful sun terrace, allowing you to take in the breathtaking views. 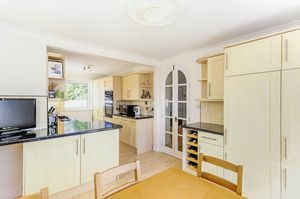 The dual aspect kitchen/breakfast room is the hub of this wonderful home, boasting an abundance of light maple coloured units finished with contrasting work surfaces over. This room also extends to provide a breakfast area, with space for a good-sized dining table enjoying the stunning sea views with the benefit of double glazed sliding doors opening out onto the sun terrace. Further benefits include an integrated dishwasher, a fridge, two freezers and a Bosch split level double oven. 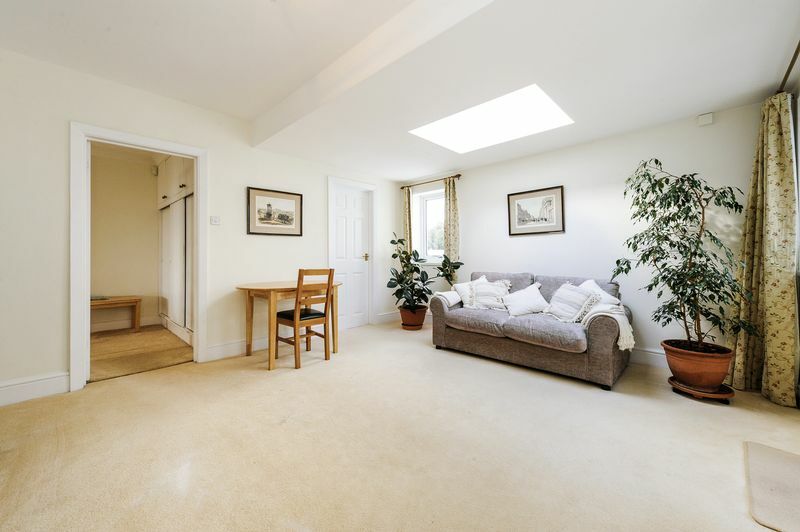 From the living room you flow into the more formal dining room, which is a lovely space with a wonderful skylight, and could be configured to suit the purchaser needs. 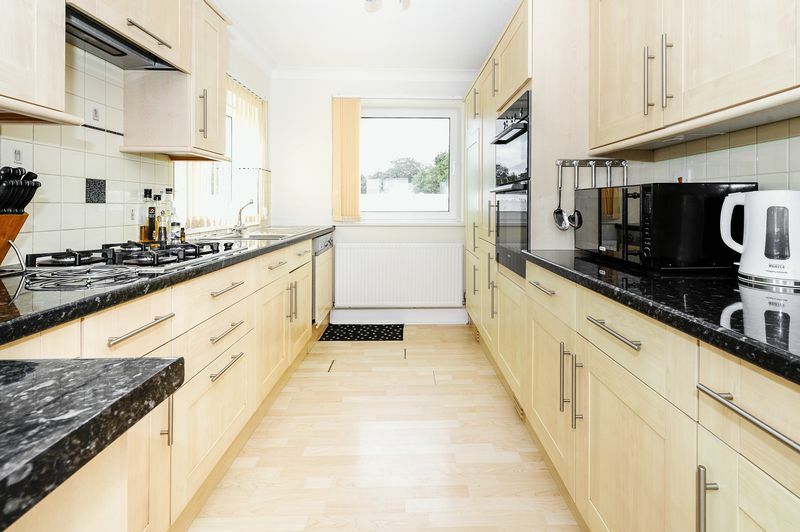 Adjacent to the dining room is a separate utility room, offering superb space and provisions for laundry facilities with a door leading to the rear aspect of the property. A vestibule to the rear elevation gives access to the driveway in turn leading to the garage. 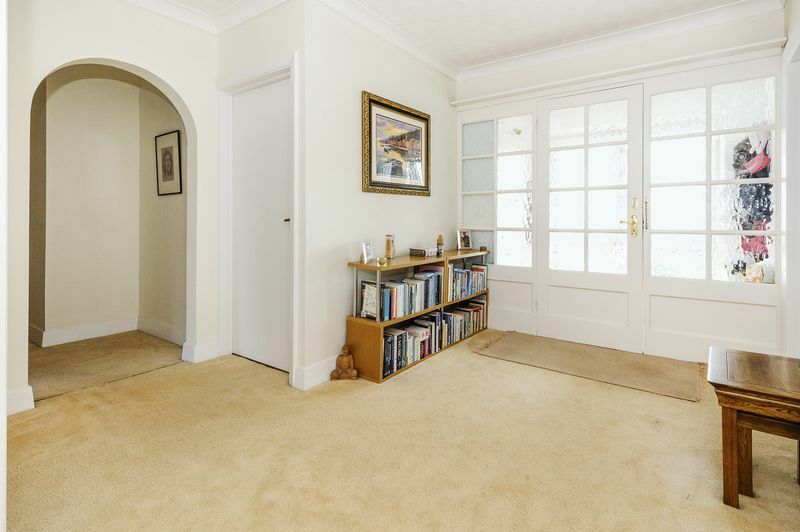 Making your way further into the property an inner hall gives you access to the three double bedrooms. 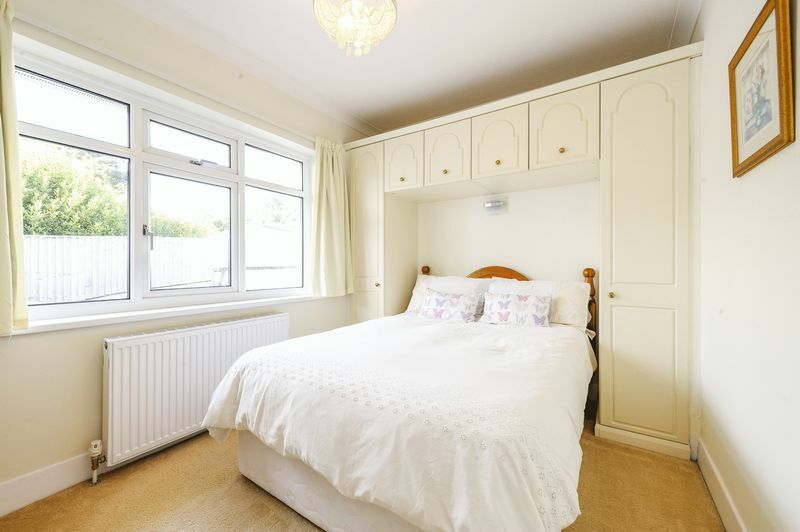 All three bedrooms benefit from built-in wardrobes and en-suite facilities. 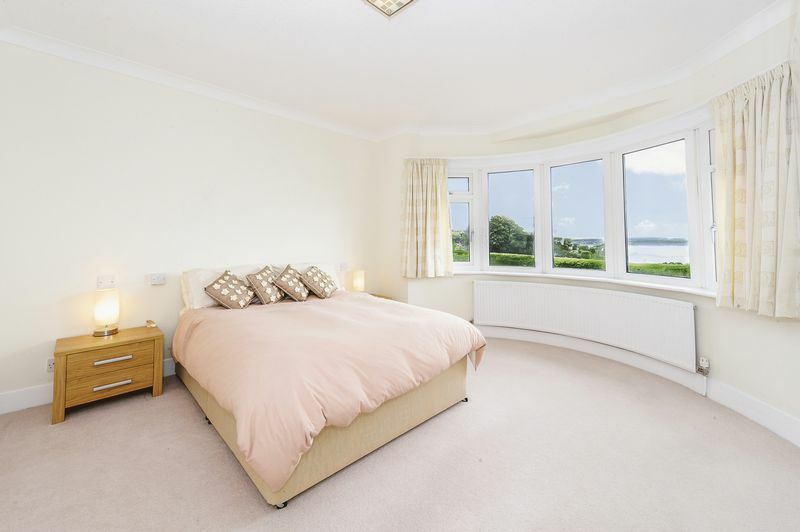 Bedrooms one and two are positioned to the front elevation of the property, boasting stunning sea views. The master room has direct access to a private sun terrace and enjoys a spacious four-piece en-suite bathroom to include a corner bath and a separate shower cubicle. 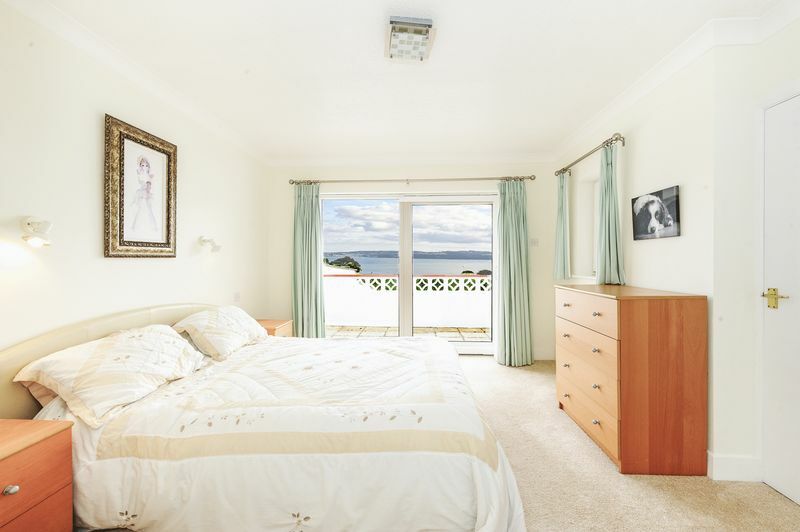 Bedroom two has a delightful bay window and also boasts a four-piece en-suite bathroom as well as an array of built-in wardrobes to one wall and stunning sea views. Bedroom three is again a good-sized double bedroom with built-in wardrobes, benefitting from an en-suite shower room. Delightful flower beds accompanying a pathway lead to the entrance of the property. 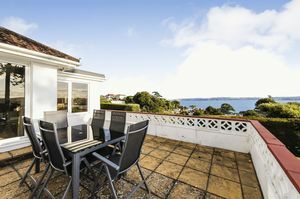 The bungalow provides low maintenance outside space by way of two superb sun terraces with an electric awning, making the most of the spectacular views in its elevated position. This fantastic home also boasts off street parking with a driveway leading to a parking area and in turn giving access to the garage. 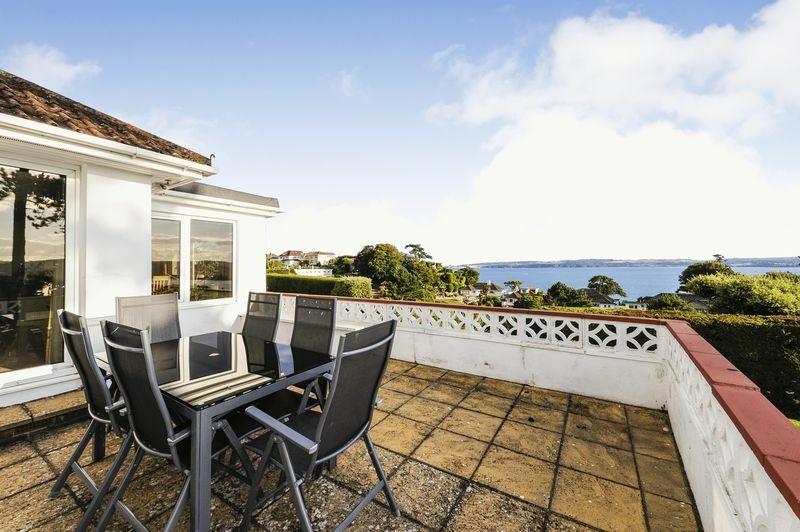 The property occupies a fine position to Torquay's Waterside, just a short stroll from the bustling harbour side along with it's variety of amenities, restaurants, cafes and local attractions. Both Living Coast and The Princess Theatre are within close proximity, as well as Torquay's deep-water marina, perfect for those with a passion for the ocean. 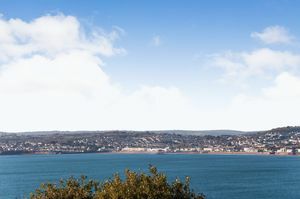 The strand is home to an array of bus stops offering flexible transport to many destinations and Torquay Train station is approximately 1 mile away along the seafront. Front elevation double glazed door and glass side panel. Tiled ceramic flooring. Mat well. Double cupboard with hanging rail. Cupboard housing gas meter. Door with side panel giving access to hallway. Airing cupboard housing boiler. Coving. Loft access. Rear elevation double glazed frosted window. Tiling. Low level WC. Wash hand basin. Vanity cupboard with mirror. Deep bay with triple aspect windows across Tor Bay. Side elevation double glazed door opening onto sun terrace. Living flame gas fire with cast iron inset and white surround. Coving. Cupboard with sliding doors. 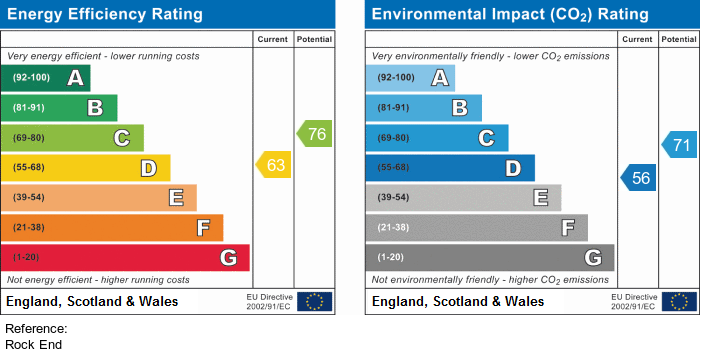 Four wall mounted radiators. Doors giving access to both the kitchen and dining room. Fitted kitchen with matching wall and base units. Roll top work surfaces . Integrated Bosch split level double oven. Five ring gas hob. Integrated dishwasher. Integrated fridge, Two integrated freezers. Tiled splash-backs. Coving. Stainless steel sink with drainer. Spotlight track. Laminate flooring. Wall mounted radiators times two. Rear elevation double glazed window. Side elevation double glazed window above sink with views to Torre Abbey. 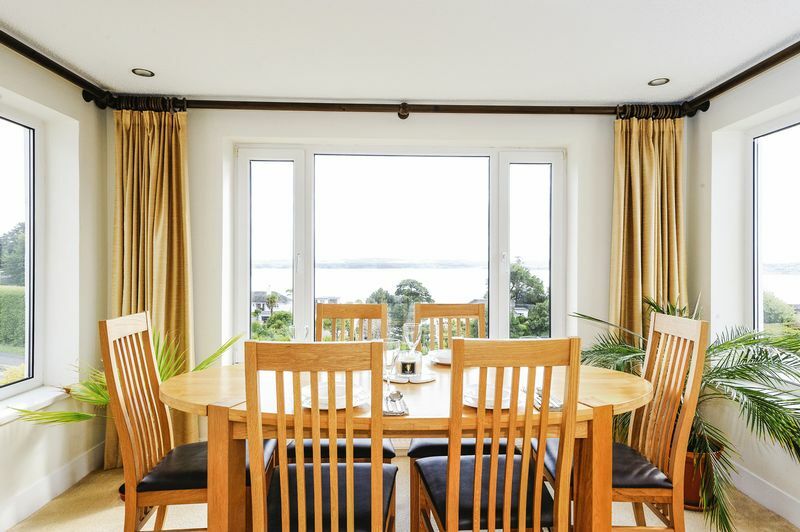 Side elevation double glazed window with views across Tor Bay. 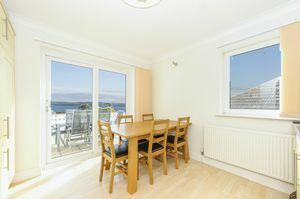 Front elevation double glazed patio doors with access to sun terrace. Sun tunnel with blind. Rear elevation double glazed window. Door to rear porch. Access to utility room. Rear elevation double glazed door to the rear of the property. Wall and base units. Roll top work surface. Stainless steel sink with drainer.Tiled splash-backs. Space and plumbing for washing machine and tumble dryer. tiled floor. Double glazed door and side panel giving access to drive and garage. Laminate flooring. Front elevation double glazed sliding door onto enclosed terrace with views across Tor Bay to Elbury Cove. Fitted wardrobes. Built-in cupboard. Coving. Side elevation double glazed window. Wall mounted radiator. Two double glazed frosted windows. Tiling. 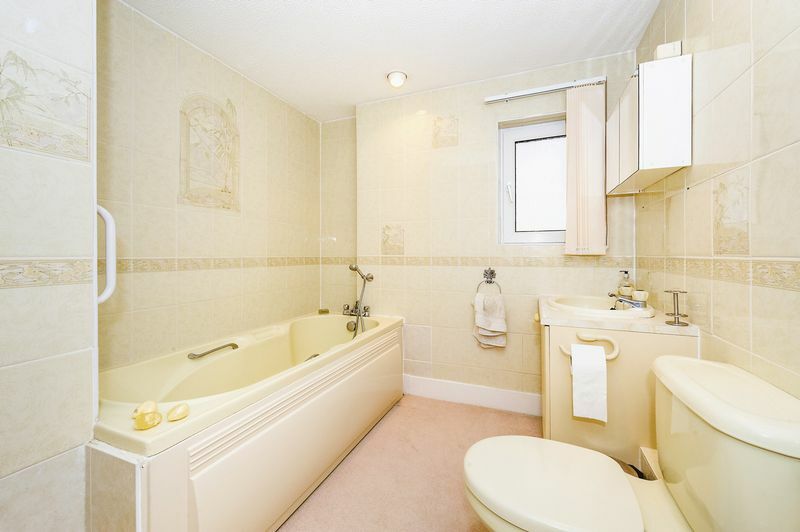 corner spa bath with jets. 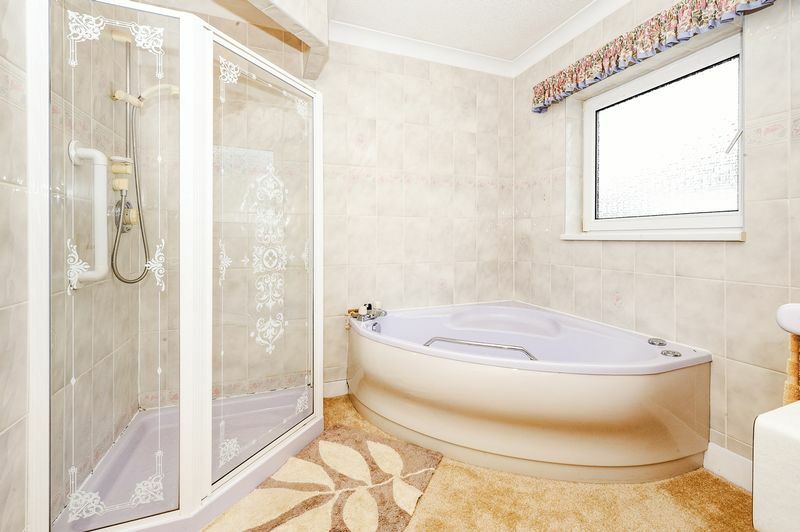 Corner shower cubicle with glass door and plumber shower unit. Wash hand basin with vanity unit. Two mirrors over with lighting. Vanity cabinet. Low level WC. Bidet. Coving. Wall mounted radiator. 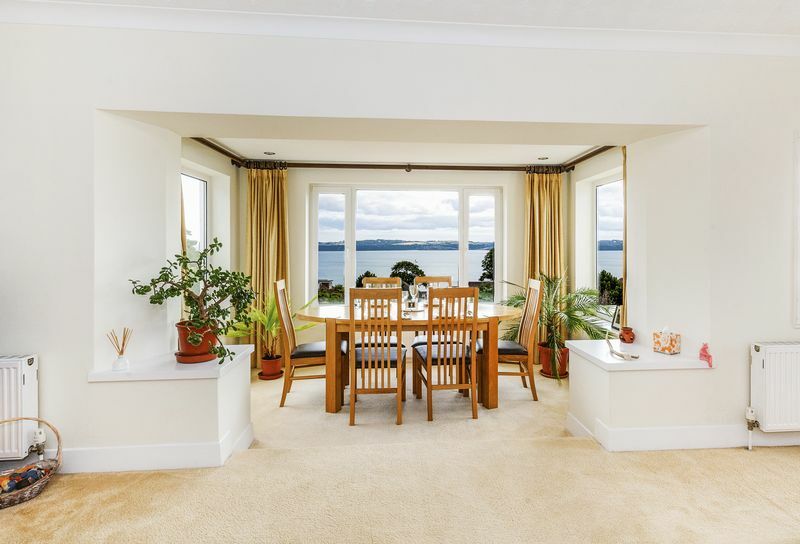 Front elevation double glazed curved Bay window with stunning sea views across the surrounding area. Built in cupboard with shelving. Fitted wardrobes. Wall mounted radiator. Double glazed frosted window. Tiling. Panelled bath with mixer tap and shower attachment. Shower cubicle with glass door and plumbed shower unit. Wash hand basin with vanity unit. Low level WC. Bidet. Shaver point. coving. Wall mounted radiator. Rear elevation double glazed window. Fitted wardrobes with overbid cupboard. Wall mounted radiator. Rear elevation double glazed frosted window. Tiling. Shower cubicle with electric shower. Wash hand basin with vanity unit. Fitted mirror. Low level WC. Wall mounted radiator. Roller door. Side and rear elevation double glazed doors. Power and light.